We are going to be looking at why they became a problem and what Facebook has done over the past year tackle these posts. But first, I suppose a good starting point would be to look at what ‘click-bait’ content actually is. The easiest way to explain click-bait content in our opinion, is in the form of an example. 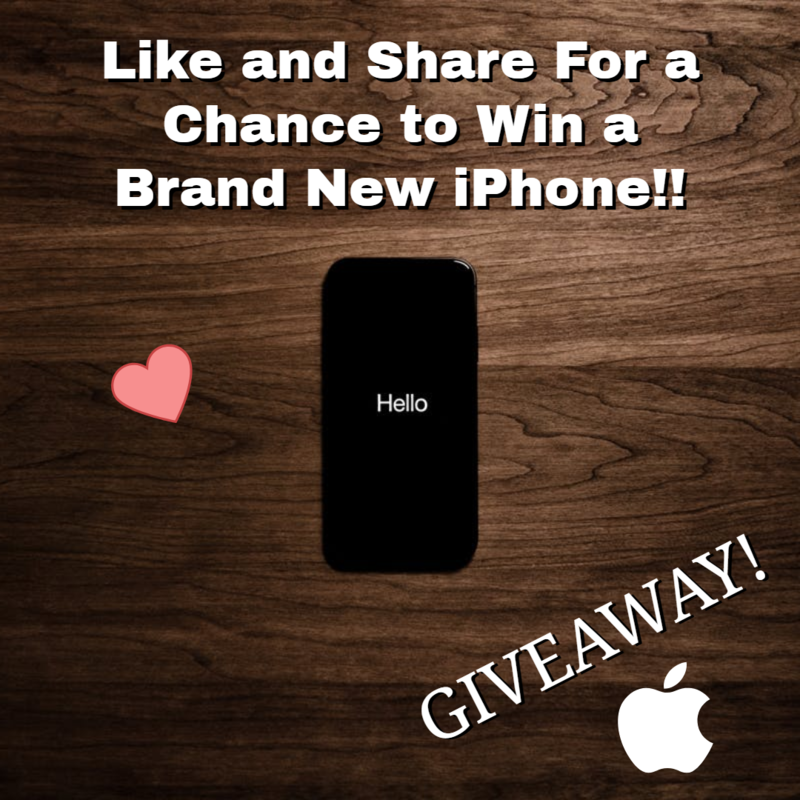 As you can see, our image is pushing users to like and share our post to be in with a shot of winning an iPhone. This is everything that you would expect of a typical click-bait post. or a combination or all of the above. All just to be entered into a competition or to be eligible for an offer of some sort. Or you may have come across a different kind of click-bait post. Have you ever seen what looks to be a link through to some kind of news article with a caption saying something like, “UNBELIEVABLE – Man Jumps of 10 Story Building and Survives!! Click this link and WATCH NOW!”… I’m sure you’ve all seen them. Obviously they’re all fake and just want you to click through to their site. But unfortunately, too many people fall into the trap of clicking on them. In a nutshell, any post that directly tells the user that they must interact in a specific way with a post to either see or get something, will be deemed to be click-bait post. 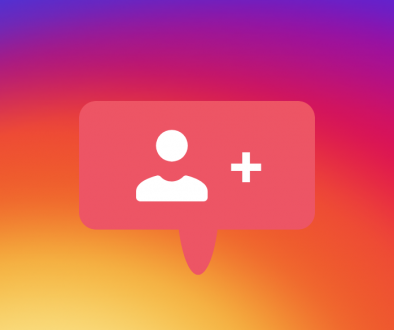 The idea is, if your posts are genuinely engaging and of interest to your audience, then the right people will interact with them, without being forced to. I can’t imagine it comes as much of a surprise to you to hear that these posts are bad practice and hated by social media users everywhere. Facebook and Mark Zuckerberg himself have known this for a while and have been making efforts in 2018 to discourage accounts from using these type of posts. 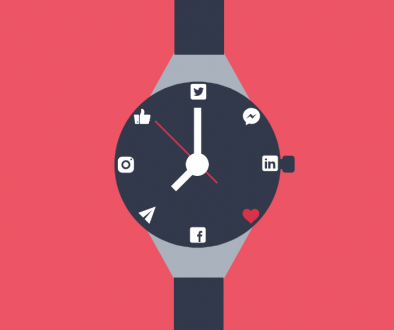 Early in 2018, we told you how Facebook had updated their news feed algorithm and how it may affect your business’ page. If you missed didn’t see that post at the time, we would highly recommend spending 5 minutes or so having a quick read. You will see that Facebook started taking steps towards penalising these posts at the beginning of 2018. This was the first time we had heard of any physical changes that had been implemented to tackle these posts. Back in mid-November Mark Zuckerberg published the blog ‘A Blueprint for Content Governance and Enforcement‘. In this blog, he talked about a whole bunch of issues that Facebook has faced and addressed in 2018. If you were to have a scroll down to the sub-heading ‘Discouraging Borderline Content’, you will see that he drills-down into the type of posts that have been hit hard by the changes that have been made. Most notably of all – click-bait posts. Zuckerberg basically explains in more detail what we told you in our Facebook news feed update post. And this is that they’ve now programmed their algorithm to demote click-bait content. What this means is that, by using AI to identify click-bait posts, Facebook can ensure that these posts are rarely displayed on user’s news feeds. This means a much lower reach for this type of content and fewer people getting annoyed with seeing it constantly. Happy days for all! You may be wondering, “why isn’t it just getting banned altogether?” And the answer to that is because it isn’t quite breaking the rules that Facebook has in place. Hence, the sub-heading for that section of his blog – ‘Discouraging Borderline Content’. 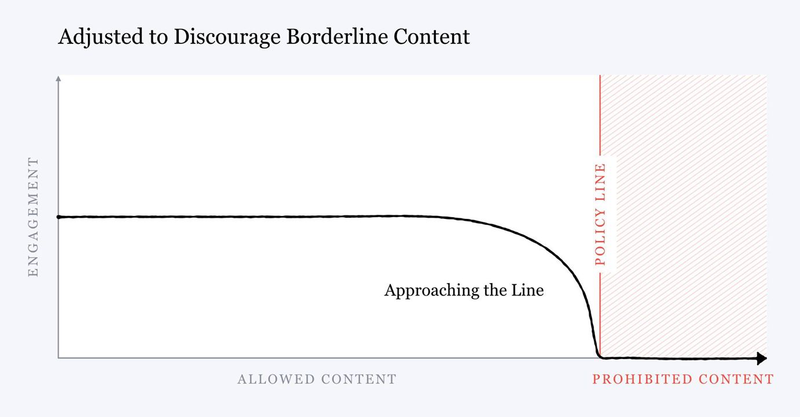 In Zuckerberg’s blog, he used a graph to demonstrate why borderline content became such a big issue so quickly. We’re a strange bunch, us humans. But luckily, this also made the solution a very simple one. 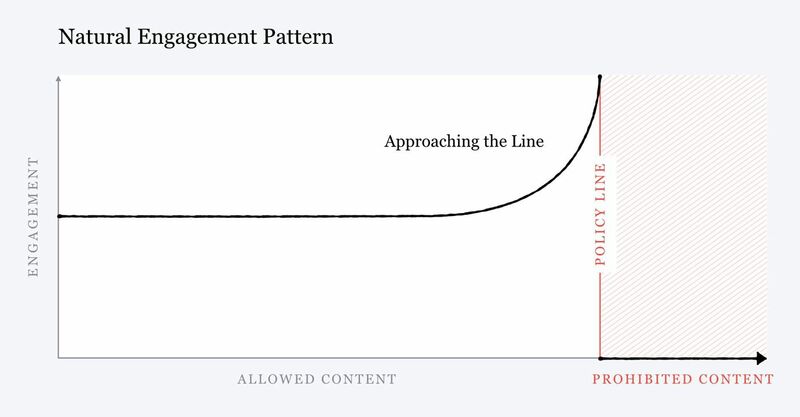 If all content is distributed evenly and content that is close to the ‘policy line’ receives higher engagement, then just show the content closer to the policy line less. Well, far less. So that’s exactly what Facebook did. 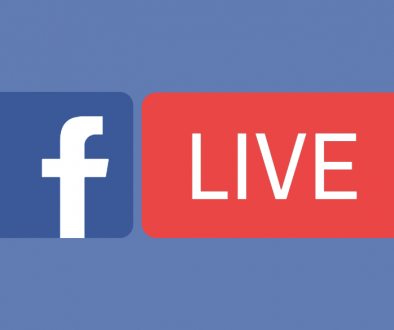 Here’s how borderline content performs on Facebook today. Now, whether we would like to or not, we can’t engage with click-bait posts anymore, because we simply won’t see them. 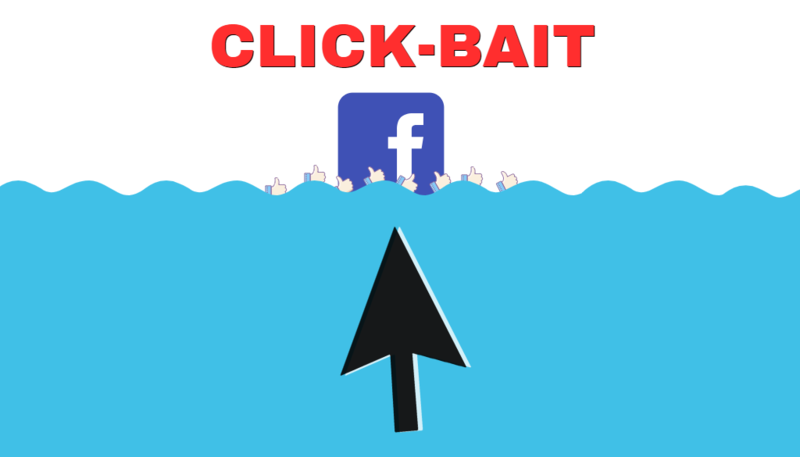 There’s also a good chance that you may have been bombarded with click-bait posts in one or two Facebook groups before as well. If you are a member of any of course. Well, you will be happy to hear that you shouldn’t be experiencing that anymore either. Zuckerberg stated that the changes implemented this year will apply to Facebook groups too.